Smart people like Dr. Oz can sure say some dumb things that can be downright scary. His latest diatribe against red meat warns about yet another heart risk in this food. As usual, he cites weak or nonexistent science to support his view. At one time the problem with red meat was supposed to be saturated fat and cholesterol. 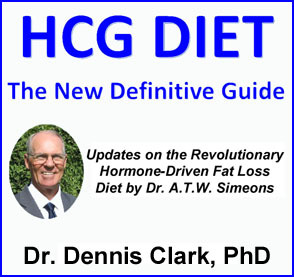 Several decades of brainwashing by mainstream medicine had people believing that eating cholesterol and saturated fat increases cholesterol levels in the blood, which in turn causes heart disease. The problem is that none of this is true! Indeed, recent research shows that dietary saturated fat and cholesterol aren’t associated with heart disease at all. Moreover, cholesterol levels in the blood have nothing to do with heart disease, either. Studies instead show that refined carbohydrates are the more likely culprit. Things changed a couple of years ago, when Dr. Oz tabbed the L-carnitine content of red meat as the problem (Why We Were Wrong: L-Carnitine). 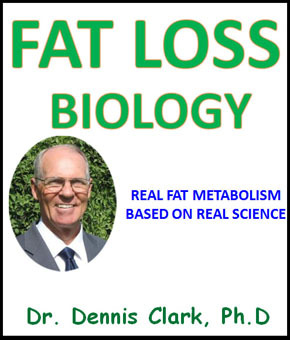 The reality is that L-carnitine is an important amino acid derivative that is involved in fat metabolism. Subsequent research shows that L-carnitine is a crucial nutrient that has nothing to do with heart disease. Big surprise there! Now the latest boogeyman in red meat is TMAO – trimethylamine-N-oxide. It is the subject of Dr. Oz’ recent weekly column in my local newspaper, under the title, “Dodge this major heart risk.” True to form, though, TMAO turns out to not be a known heart risk at all, major or minor. Gee, if the problem isn’t saturated fat, cholesterol, or L-carnitine, then it has to be something, right? What do you think the odds are of finding the culprit for heart disease in red meat when this food is clearly not a problem in the first place? The two chances the come to mind are: SLIM and NONE. I’m sure that the medical folks who perpetuate unfounded scares against red meat will continue to look for something – anything – that will support their dietary view, though. Meanwhile, let’s take a look at dietary TMAO using some actual science. The main reason behind studying dietary TMAO is the unsupported assumption that it is a heart risk. Set that aside for the moment and let’s take a look at where this new boogeyman might be lurking in your diet. WOW! VEGGIES ARE EVEN WORSE THAN BEEF! It’s as if there is no escape from that evil TMAO lurking in our foods. Take careful notice that the scale of the upper graph is zero to 300 mmol per 8 hrs, whereas the scale of the lower graph is zero to 10,000 mmmol per 8 hrs. Halibut, the highest level of all the fish in this graph, leads to the excretion of more than 1,000 times the amount from beef! 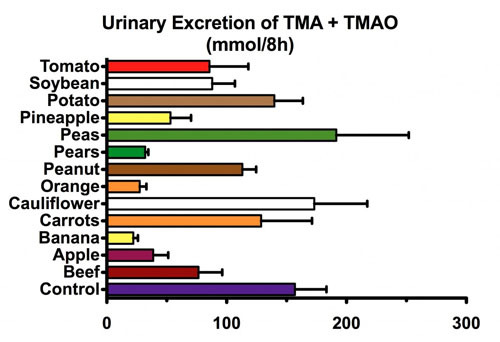 If you were to actually design your diet to reduce your exposure to TMAO, then beef would be one of the lease worrisome foods. You would first have to eliminate all fish, then cut way down on peas, carrots, cauliflower, potatoes, soy, and tomatoes. Does this mean that all those studies showing that eating fish is heart healthy have to be thrown out? Of course not. That would be ridiculous. Simply accepting that dietary TMAO is to be avoided doesn’t seem to pass the smell test. The whole idea seems just silly. If consuming red meat raises elevates TMAO levels, and if elevated TMAO increases the risk of heart disease, we’d expect to see higher rates of heart disease in people who eat more red meat. That is, after all, the core issue. One large meta-analysis covering over 1.2 million participants found that consumption of fresh, unprocessed red meat is not associated with increased risk of coronary heart disease, stroke or diabetes. On the other hand, a smaller study including about 121,000 participants did find an association between red meat consumption (both fresh and processed) and total mortality, cardiovascular disease and cancer. The confounding variables of diet reporting in surveys like those, plus the lifestyles of different groups of people (sedentary, smoking, etc.) undoubtedly underlie such contradictory results. In addition, if eating meat increases heart disease risk, then we should see lower rates in vegans and vegetarians. However, recent studies haven’t found any survival advantage in vegetarians. These studies show no difference in mortality between vegetarians and omnivores. Taken together, these survey data do not suggest a strong relationship between red meat and heart disease. If anything, a diet of heart-healthy fish, along with its much higher exposure to TMAO, reveals a negative correlation between TMAO and heart risk. This would indicate exactly the opposite of what Dr. Oz says about avoiding TMAO. Keep in mind, however, that it is crucial to remember that epidemiological evidence in surveys does not prove causality, even if there were a positive association between any two variables. 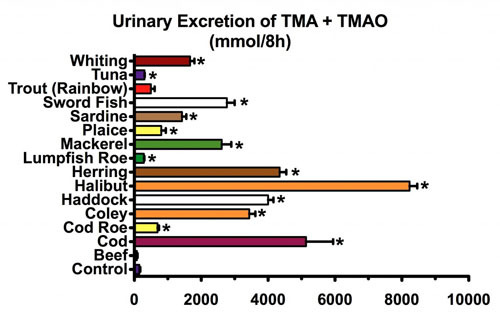 Impaired urinary clearance of TMAO due to impaired kidney function. Folks who maintain the highest levels of TMAO have a reduced capacity to filter blood through the kidneys. An abundance of certain kinds of gut bacteria, known as Prevatella, drive an increase in TMAO production. Consumption of whole grains – not animal products – is associated with higher levels of Prevatella bacteria. Enhanced conversion of TMA to TMAO in the liver. An enzyme called Fmo3 catalyzes this conversion. The activity of Fmo3 is affected by genetic factors, iron or salt overload, and a number of common pharmaceutical drugs used to treat arthritis, GERD and infections. It is not dietary TMAO that is the problem. More likely, underlying health disorders that affect TMAO retention and overproduction are closer to explaining heart risks. This means that the issue of TMAO as a potential heart risk is much more complicated than simply blaming the consumption of red meat. The latest scary boogeyman from Dr. Oz won’t change my meat-eating habits. Will it change yours?